Get to know Pain Medicine Physician Dr. Jeff Lee Buchalter, who serves the population of Florida. 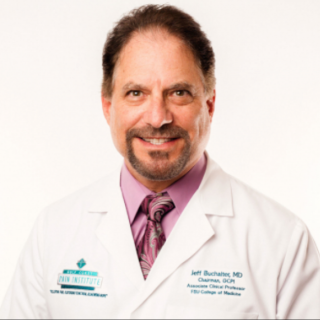 Dr. Buchalter graduated with his Medical Degree from the University of South Florida in 1987, giving him over three decades of experience in his field. After obtaining his Medical Degree he completed his internship and residency with the Baylor College of Medicine. Wanting to further his training he completed his Pain Medicine fellowship subspecialty with The University of Texas and MD Anderson Cancer Center. Dr. Buchalter is dual board certified by the The American Board of Anesthesiology and the American Board of Pain Medicine. To stay up to date in his field, he remains a professional member of the Florida Society of Interventional Pain Physicians and has been inducted as a Fellow of the American Academy of Disability Evaluating Physicians. 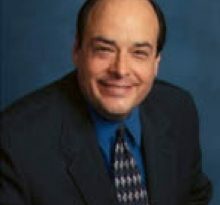 He is Chairman of ClearWay Pain Solutions Institute and is affiliated with Sacred Heart Health System, West Florida Hospital and Baptist Healthcare systems, where he holds an expertise in Anesthesiology and Pain Management. 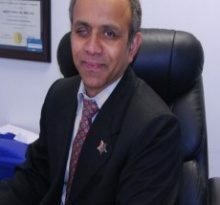 He also practices as an Associate Clinical Professor on active staff at the Florida State University College of Medicine. A Pain Management Specialist is a physician with specialty training and certification in the evaluation, diagnosis, and treatment of all different types of pain. Pain can be caused from a wide spectrum of disorders including musculoskeletal disorders, degenerative processes, cancer pain and sometimes a combination of these. Pain can also arise for many different reasons such as surgery, injury, nerve damage, and metabolic problems such as diabetes. Occasionally, pain can even be the problem all by itself, without any obvious cause at all. Dr Buchalter has devoted his career to the diagnosis and treatment of Spine-related pain disorders, co-authoring a Textbook on the most common cause of Chronic Back Pain. He can perform precise spine procedures to relieve pain and now has expanded his treatment protocols to include stem cell and regenerative therapies. 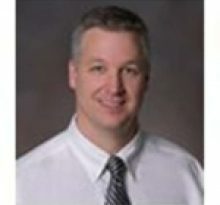 Through his findatopdoc profile,https://www.findatopdoc.com/doctor/8138576-Jeff-Buchalter-Pain-Management-Specialist-Pensacola-Florida-32504 Through Clear Way Pain Solutions Institute, https://clearwaypain.com/ he can be contacted at (850) 484-4080.